Say goodbye to being hungry two hours after you finish your breakfast. 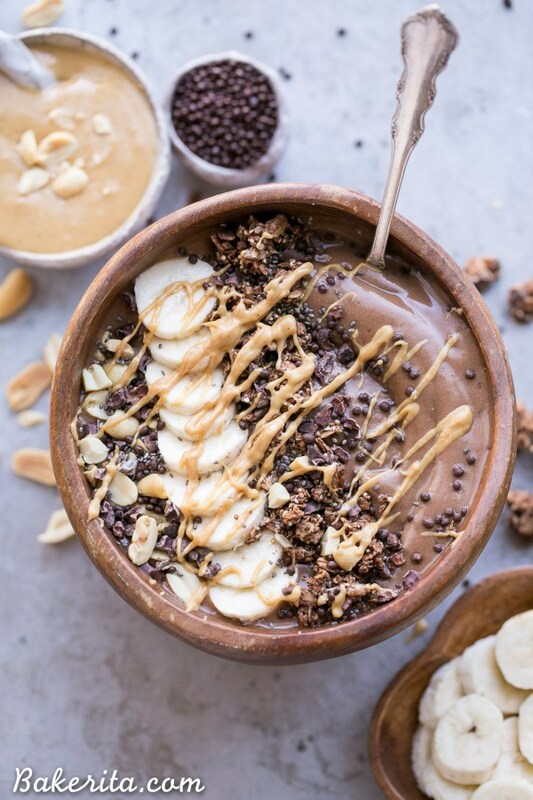 The ever so popular smoothie bowl is full of leafy greens, tropical fruits, chocolate, and literally whatever else your heart (and stomach) desires! They’re packed full of all the essential nutrients, and above all, they're absolutely delicious. Not only can you sit down to one of these beautiful bowls for breakfast but it also doubles as a delicious treat or midnight snack while you watch Grey's Anatomy for the billionth time. Try one of these bowls for a great start to the week. Mondays can be rough, so go ahead and add a little yellow into your morning routine. It’s hard to start the day on the wrong foot when your breakfast is so happy! Top this with mango and pineapple chunks, blueberries, coconut flakes, and chai spiced granola. Line peach slices, granola, and toasted sliced almonds on top. If you like it a little sweeter you can also drizzle honey on top. Add mixed nuts, blueberries, shredded coconut, mint leaves, mango slices, and dark chocolate chunks. These smoothie bowls are sweet, and jam packed with all your favorite fruits. Besides, everyone needs a little pink in their lives. Top it off with more raspberries, chia seeds, grated dark chocolate, mixed nuts and seeds. Add sliced strawberries, sliced peaches, peeled and diced kiwi, coconut flakes, and a lime wedge. Top this bowl off with sliced kumquats, raspberries, coconut, and cacao nibs. These combinations are the best way to get the recommended serving of fruits and veggies. The added bonus? You can’t taste all those leafy greens. You get the taste of the fruits, with the benefits of the veggies. Top this baby off with sliced banana, granola,and grated coconut. Sprinkle cashews, cinnamon, granola, and diced apple on top. When it comes to topping this one off why not try some raspberries, strawberries, and chocolate shavings. With these bowls you are going to get the best of both worlds, not only do you get all those good for you ingredients but you get chocolate… what gets any better than chocolate?! Top this beauty off with sliced banana, chocolate granola, peanut butter drizzle, and chia seeds. Sprinkle coconut. sesame seeds, and dark chocolate over the top. This bowl you can garnish with mini chocolate chips, sliced almonds, and sliced bananas. Topped off with dark chocolate, and red berry granola, cacao nibs, more strawberries, and chia seeds.